HR professionals deal with multiple issues to do with the team on a daily basis. Their role is diverse, challenging and rewarding at the same time. Looking after the welfare of an organisation’s team(s) can mean being aware of anything from the health & welfare of the staff, learning and development each team member needs for each role, retirement, change management, compensation, and employee rewards. HR effectiveness is not easily measured in a way that actually gets to the heart of what is really needed. Often within an organisation, job roles require an individual to do varying accountabilities, some of which just do not fit the Talents of the person they’re allocated to. Leadership development becomes important because it is seen as the key to great team dynamics and it’s the lack of good leaders, that creates an imperfect work environment. If this were really true, then all we’d have to do find leaders that can lead better or train the leaders more. Which is how most training companies work – by delivering upskilling training, or new skill training, to individuals and teams within their current paradigm. Talent Dynamics is so much more powerful and gets faster results because it starts by creating a whole new paradigm to operate from! Create a real impact in your organisation’s results – Become a Talent Dynamics Performance Consultant. We already use a profiling system. Why would we use Talent Dynamics? The biggest point of difference between Talent Dynamics and the other profiling tools on the market today is this: Most profiling tools are great for building self awareness, leadership capability and EQ. Talent Dynamics is the only profiling system that does all of this and more importantly, has a direct impact on financial results. 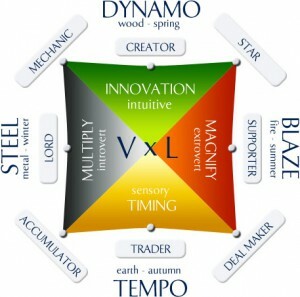 Talent Dynamics has a direct link between individual, team and organisational performance levels. It creates immediate and fundamental changes within a team that allow them to speed up their productivity, results and momentum. We have seen teams literally double their results in less than 6 months after a Talent Dynamics programme. From a 1-day programme, we typically see teams that generate strategies to add £100,000 to their bottom line really quickly and easily. They are also having more fun and feeling more connected to the organisation then ever before! This is employee engagement in action. Talent Dynamics gives you the ability to make changes from within, like few others can. You know the staff, have access to line managers, understand the motivation and culture of the organisation and most importantly the business focus and strategy. Who better to lead it through dramatic improvement to accelerate growth than you? Measuring HR effectiveness is undoubtedly an interesting new top three focus for HR Leaders, since it highlights the profession’s need to measure results – not simply in relation to transaction management but additionally in regards to driving the organisation. Using Talent Dynamics to develop high performing individuals and teams that deliver dramatically improved results, allows HR to be a true strategic partner inside the organisation and to deliver even more value to the company. Since receiving the profile I have focused far more on my networking, relationship building and spearheading of campaigns. The effect upon my revenue and business activity has been exceptional not only do I feel happier in what I am doing at work but my boss is happier because I am making us both more money! This session was thought provoking personally and within the business! I now have a clear underdstanding of how to approach other team members to get the best out of them.